The Ineo +3110 is simply a badged version of the Konica Minolta Bizhub C3110 which is the best value A4 full colour product in today’s market. 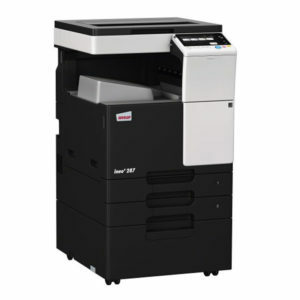 This outstanding A4 colour model is highly specified including postscript print, fax, double sided printing and scan to file/email. Add to this the fact that this product has by far the lowest running cost of any A4 colour product and it’s an easy product to buy.